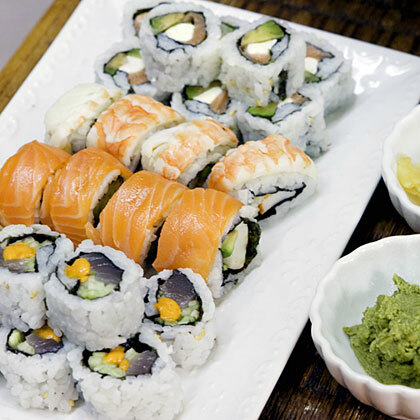 Choose five to seven items from this list of favorite fillings for homemade, hand-rolled sushi. 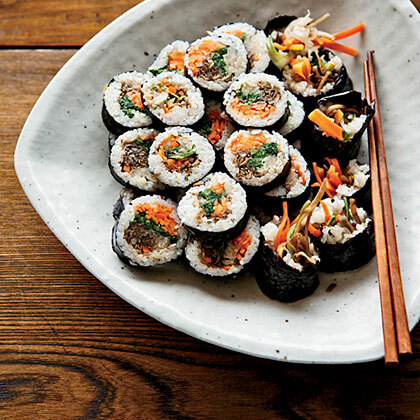 Turn your kitchen into sushi central, complete with sake and rolls of fun. Masaharu Morimoto recommends using a rice cooker and seasoning the rice to taste. 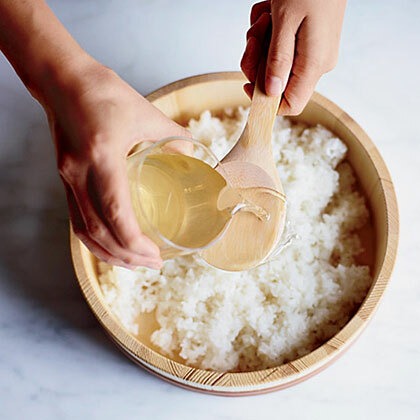 Start with 1/2 cup of sweetened vinegar for every 5 cups of cooked rice, adding more by the tablespoon if desired. 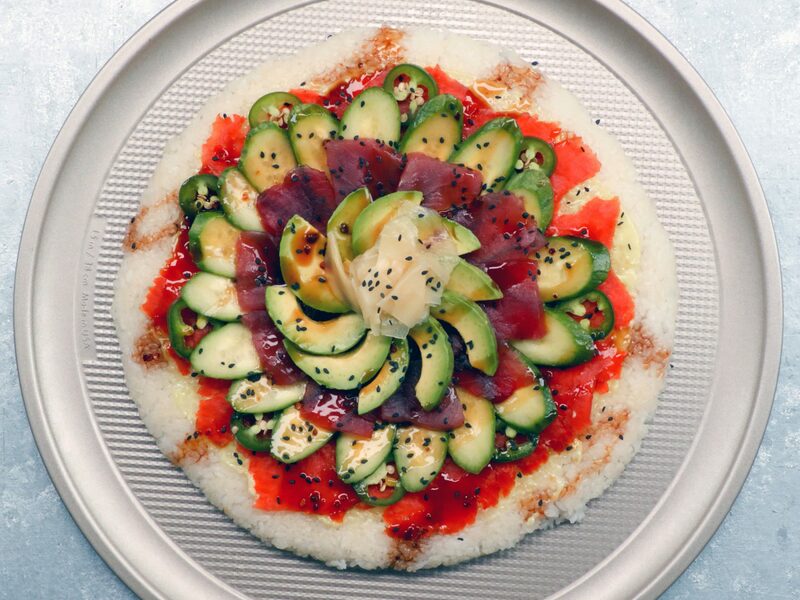 Here's what you can do to make sure your sushi comes from healthy, sustainable seafood. 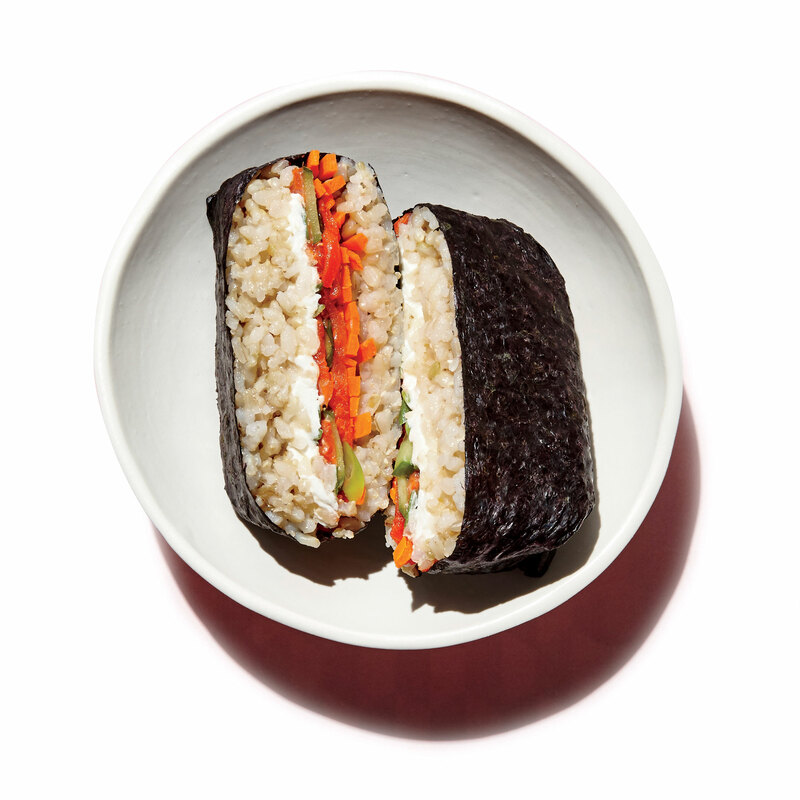 Sushi burritos were created in 2008 by Peter Yen, founder of the Bay Area's popular Sushirrito, as a way to combine two of his favorite foods: sushi and burritos. You'll need a bamboo sushi-rolling mat, which you can find at kitchenware stores, Asian grocery stores, or online. 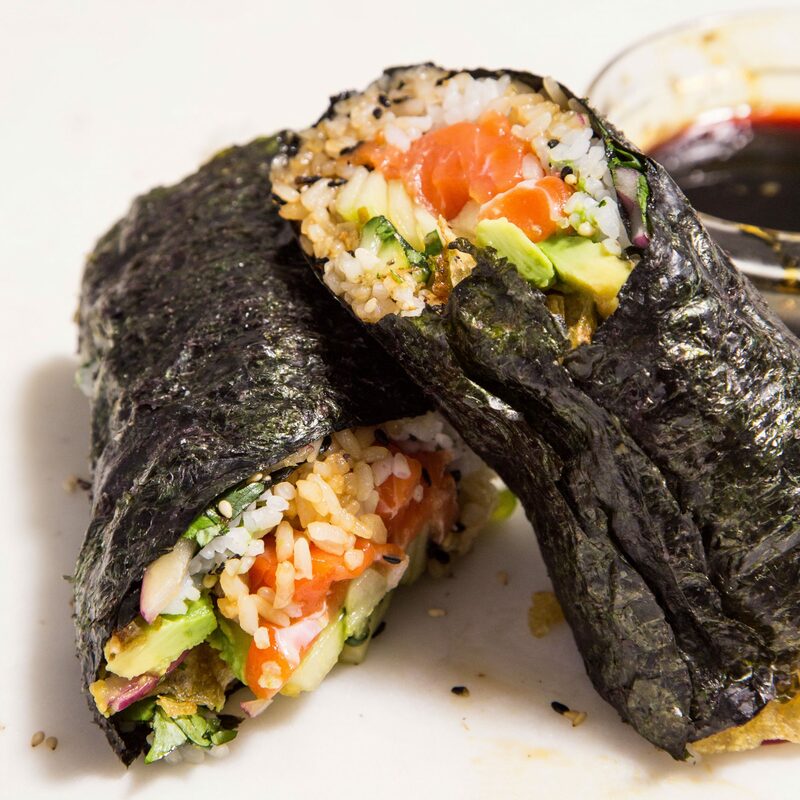 This easy sushi burrito recipe includes salty, crunchy, fresh, sweet and creamy notes by using avocado, potato chips, mirin and cucumber to accompany the fresh tuna, nori and rice. 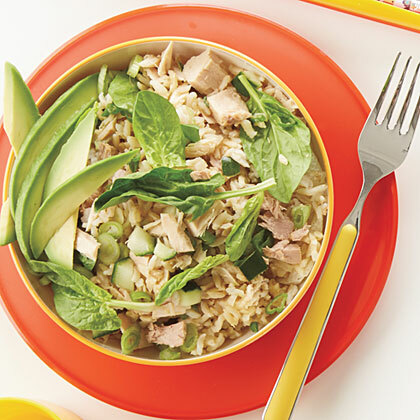 You can make the sushi rice up to 4 hours ahead; cover and let stand at room temperature. This is a great introduction to sushi. The ingredients are familiar, and the flavor is mild. Kids love it. 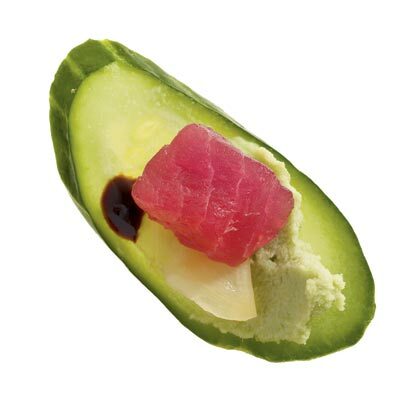 Using mashed avocado makes this California-style sushi easy to roll. Use precooked shrimp for an easy shortcut. 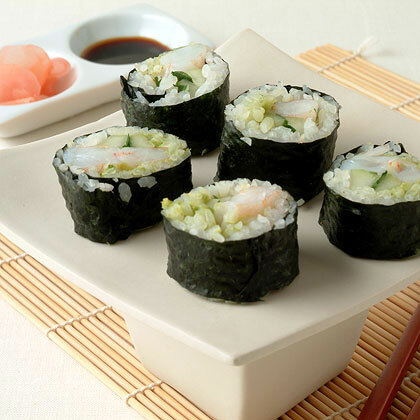 Serve sushi with the typical accompaniments of wasabi, low-sodium soy sauce, and pickled ginger. David Chang was inspired to make these playful rolls by a snack he had at Yunpilam, a temple in South Korea, where the nuns served him edamame mixed with walnuts and molasses. 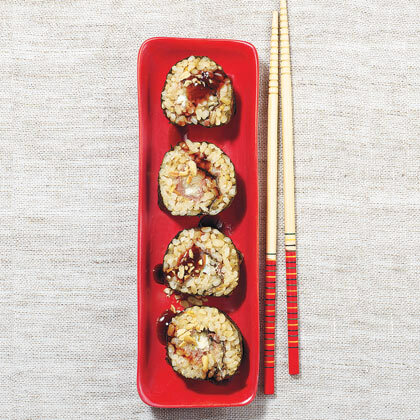 His rolls have an edamame-and-walnut filling; unlike other sushi rolls, they can be served warm.